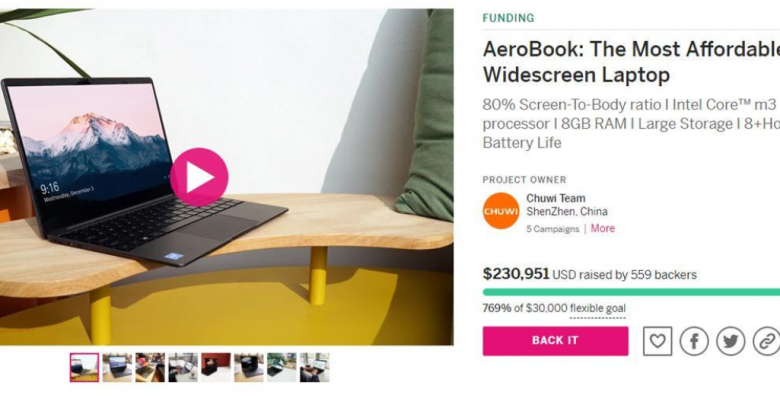 The Chuwi Aerobook is a Crowdfunding-funded China notebook with very interesting specifications. 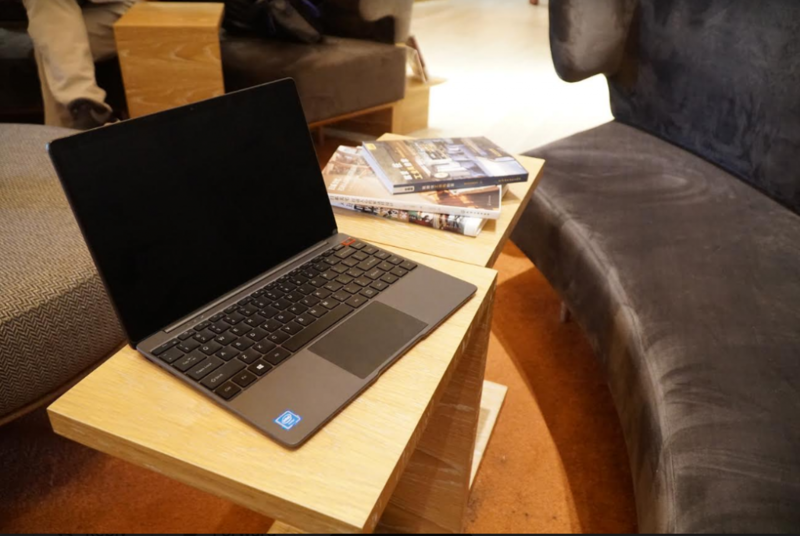 It is very lightweight and features a solid everyday performance thanks to an m3 processor. Now its crowdfunding campaign on Indiegogo is slowly getting to the finish line and with only 2 days left in they are trying to offer some extra benefits to the newcomers. Besides, Chuwi also promised to add keyboard stickers as a nice bonus for Italian/German/Spanish/Russian keyboard layout depending on the shipping address. 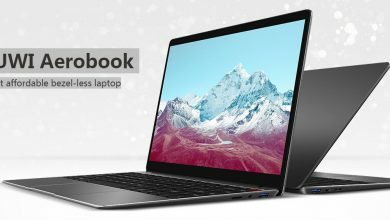 Chuwi AeroBook adopts a 13.3-inch screen in 16: 9 format and Full HD resolution. The side frame on the sides measures only 5mm with a screen-shell ratio of 80% to offer an immersion in excellent contents. The laptop is equipped with an Intel® Core ™ M processor clocked at 2.2GHz and 9th Gen HD Graphics at 850MHz. With ample storage space of 8GB + 128GB, performance is also surprising. The internal storage space of the Chuwi Aerobook includes between 128GB-1TB SSD memory and is also expandable by a microSD card. Of course, the existing SSD can also be replaced by a larger hard drive via the SSD slot on the back. 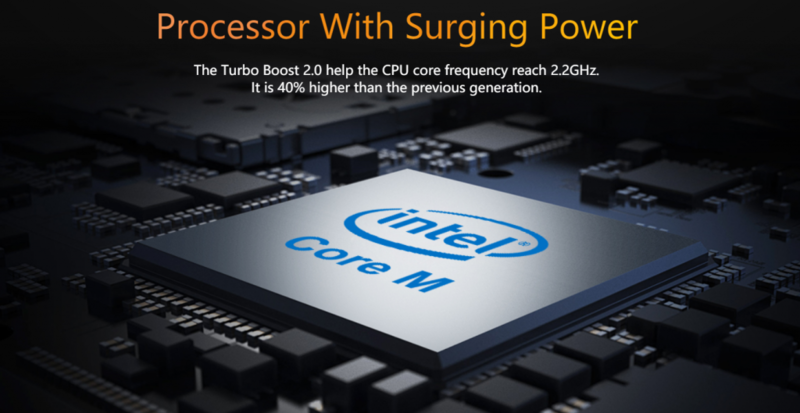 The heart of the laptop is the Intel Skylake m3-6Y30 dual-core processor with a maximum Turbo frequency of 2.2 GHz. It also has a much higher performance than the Celeron processors. The integrated Intel UHD Graphics 515 graphics card will allow you to watch 4K videos and play games. The dimensions of the device are 30.8 x 20.9 x 8 cm, which makes it very slim and compact. Even the weight of just 1.2 kg creates a pleasant working atmosphere. The Aerobook also has a backlit keypad. 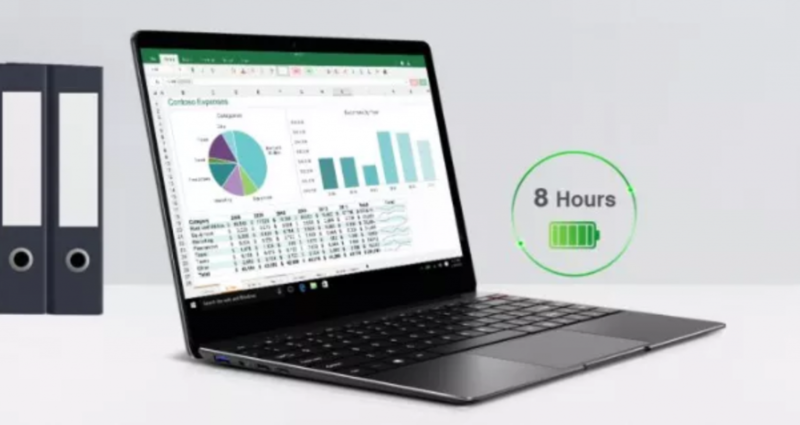 The battery of the Chuwi Aerobook amounts to 5000mAh and is specified with a running time of up to 8 hours for video chats, a 2MP front camera is also installed. 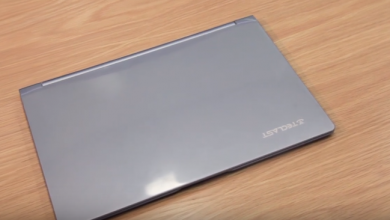 Chuwi expects the AeroBook to begin shipping in April with a base price tag of $499 — that is, unless you participate in the Indiegogo campaign. As an early bird special, Chuwi is knocking $100 off the price for the first 150 backers, with $120 off a $549 version with twice the storage, and $170 off a 1TB configuration regularly selling for $869. As of this campaign for CHUWI AeroBook will soon come to end. It already has 559 backers and more than $230,000 raised, achieving a target rate of 769%.